Home / Latest News / MAKE UP: Be-Witched! All Hallows Eve is right around the corner and no time like the present to scare-up and scare-all with fantastic face-paint ideas! Sure, rockin a spooky costume is the ultimate Halloween experience but, with a little practice a perfectly frightful face can be just as haunting. 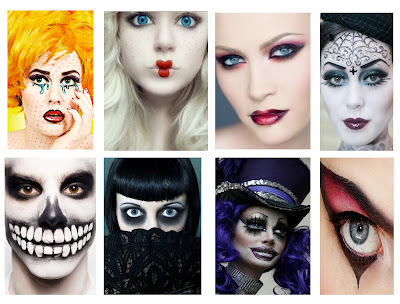 Call or stop by our beauty department and stock up with plenty of makeup-tricks and color-treats for Halloween!